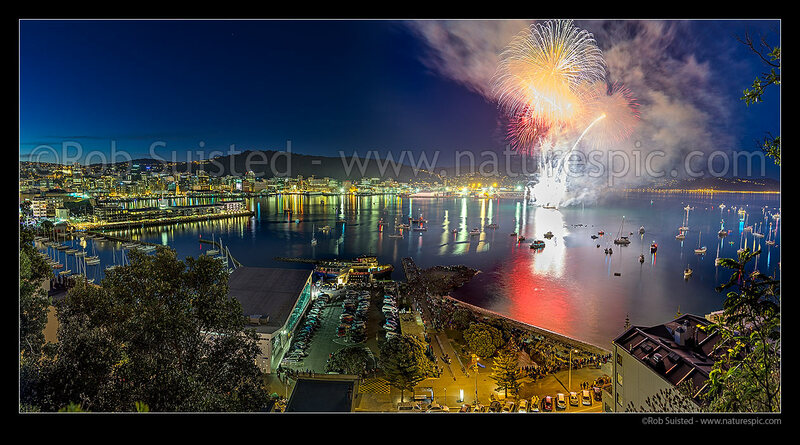 Fireworks in Wellington City off Oriental Bay with spectators lining the shore or in private boats. Panorama, Wellington, Wellington City District, Wellington Region, New Zealand (NZ) stock photo image from New Zealand (NZ). Fireworks in Wellington City off Oriental Bay with spectators lining the shore or in private boats. Panorama, Wellington, Wellington City District, Wellington Region, New Zealand (NZ) stock photo image (Picture ID #: 51680XF00).